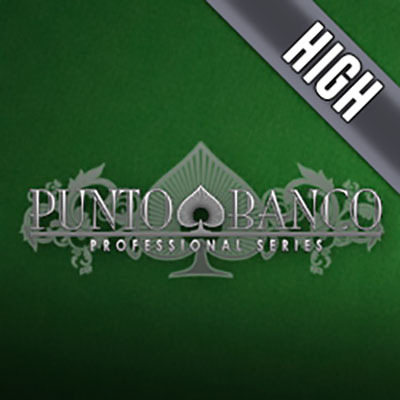 Punto Banco is pretty similar to Baccarat, in which the game is essentially played between a player and the casino. In fact, the name is a juxtaposition of the 2 aspects of the game Punto (player) and Banco (bank). The high variation of this game allows for high rollers to dig deep and bet big! The minimum bet begins at £10 and the maximum stretches till £100. The objective of the game is to place a bet between 2 hands. The options are: Punto (player) or Banco (bank). The one with a hand that is closest in value to nine wins. If for instance, the player’s total is a 2-digit number, 10 is subtracted from it to reduce it to a single digit number. For example, if you have 2 cards: 8 and 9 bringing the total to 17 – 10 will be subtracted from it, making your final number 7. There are also various rules that need to be observed throughout the game. Below is an outline of the rules that ought to be observed by the Punto and also the Banco. - If the total of the bank’s hand is 6, while the player’s hand is either 6 or 7, it is mandatory for the bank to draw a third card. The bank only needs to draw this third card if the player’s total is made up of 3 cards, if not the bank is free to stand. Punto Banco is all about decisions and sticking by those decisions. It is not always easy to do but oddly enough it does make you feel like you are regaining some form of control in your life. This variant of Punto Banco is all laid out for the professionals. It looks the part and it certainly pays the part – a great game for high rollers!